Movies and video games about World War II focus on the action in Europe and the Pacific. The truth is that no corner of the globe escaped the terror of the conflict, even Alaska. The United States watched as Japan grew stronger and bolder. The US hadn't entered the war yet, but they were making plans to protect the nation. They saw that the shortest way from Japan to the West Coast states followed the Great Circle route near Alaska's shore. To protect the country from an attack along that route, they knew they had to build up defenses in Alaska. In 1939 and 1940, the U.S. Navy built air, destroyer, and submarine bases in Sitka, Kodiak, and Dutch Harbor. 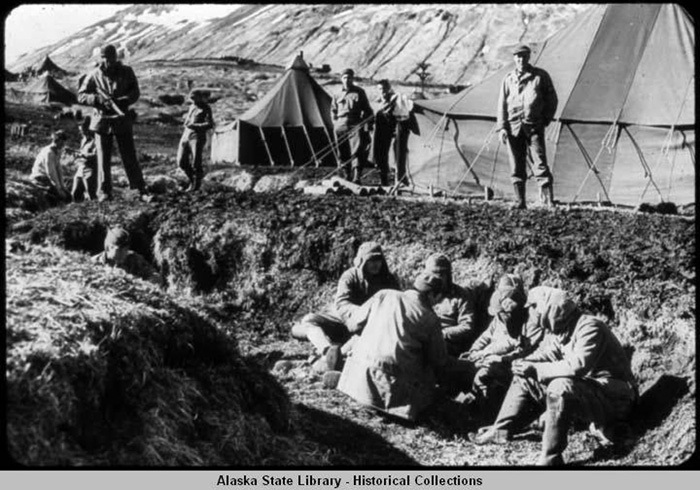 The Army erected forts and air fields at Anchorage and Fairbanks. All these new bases brought lots of people to Alaska. By the end of September 1943, there were 35,000 military men and women in Alaska. There had only been 1,000 just 18 months earlier. At one point the number of troops topped well over 100,000. The build-up and all the new jobs created during this military boom brought many other people to the state too. It looked like the rush was on. This time it was driven by war, not gold. Once all the bases were built, the U.S. needed a way to make sure supplies could get to them. Almost all supplies arrived by boat. What if Japan threatened these shipments? The U.S. had to find other ways of getting supplies to its troops. First, they built a series of airfields from Montana, north through Canada, to Fairbanks. To support the airfields and link Alaskan outposts to the rest of the country, they needed a road. So the army hacked out a rough 1,400-mile road through the wilds of Canada and Alaska in record time. Work started on the Alcan Highway (now called the Alaska Highway) in March, 1942. On November 20, 1942, just eight months later, it was done. During the same period, a spur road (the present-day Glenn Highway) was built to link Anchorage to the Alcan. The airfields turned out to play an important part in winning the war. They were used to ferry nearly 8,000 fighters and bombers from U.S. production plants to our Soviet Union allies, who used them against Nazi Germany. Then what everyone most feared happened. During the first week of June 1942, Japanese aircraft bombed Dutch Harbor. During that same week, they also invaded the islands of Attu and Kiska. These were the most western of the Aleutian Islands. It was the first time since the War of 1812 that an invading army had taken control of American soil. Everyone on the islands was taken to Japan as prisoners of war. A small group of U.S. Navy men were taken from Kiska. They had been there to run the weather and radio post. 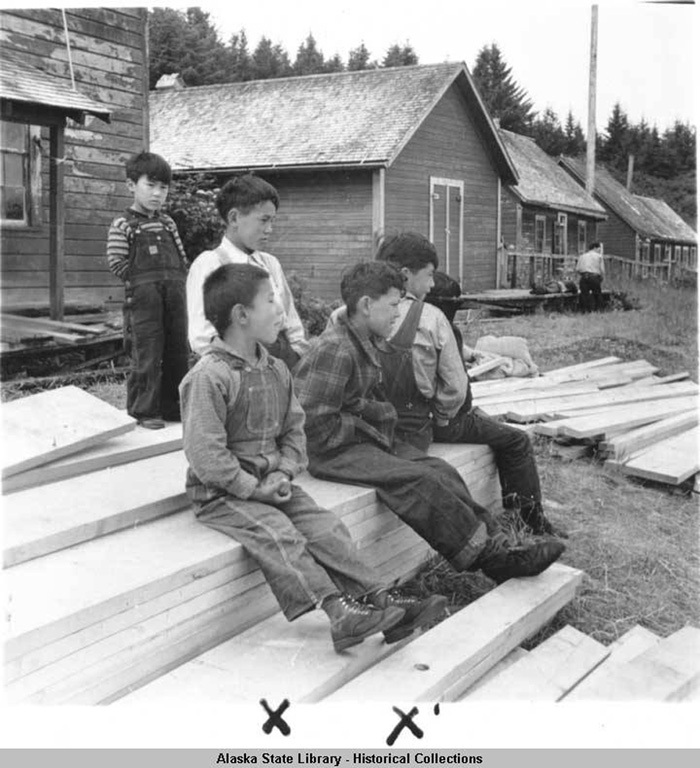 All 48 Aleut villagers and the teacher, a 62-year-old white woman, were taken from Attu. Concerned that the Japanese would take over the rest of the Aleutian Islands, the Americans moved everyone living there to safer places. They even destroyed many of the islanders' homes, rather than let the invaders use them. 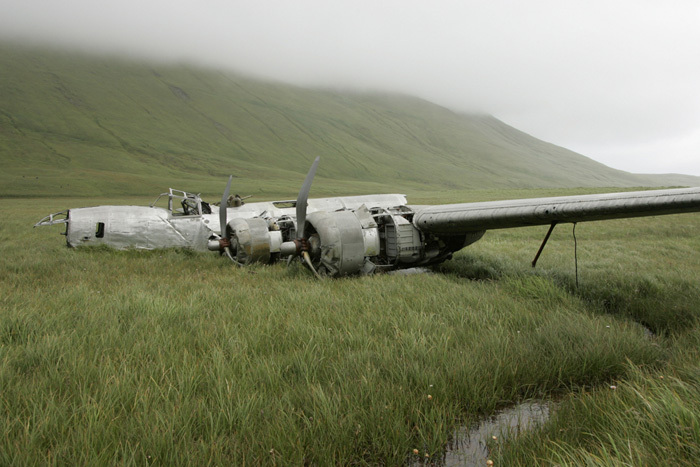 U.S. aircraft and ships fought both the Japanese forces and the fierce Aleutian weather to win back the islands. First they needed to cut off the invaders from any supplies or additional troops. Then they had to destroy them. In March 1943 they won the first goal, when the navy turned back a group of Japanese ships bringing more troops and supplies. Then in May, 15,000 American troops climbed ashore at Attu. There they fought a bloody battle with 2,400 Japanese defenders. After more than two weeks of fighting, 550 Americans were dead and 1,148 wounded. Of the Japanese, only 28 prisoners were taken. The rest of the Japanese soldiers were dead. At Kiska, Americans prepared for a big battle. They knew that at least 6,000 Japanese soldiers had been on the island. By July 1943, nearly 100 ships and more than 34,000 troops from the U.S. and Canada were ready to attack. But the Japanese made a brilliant escape. While U.S. ships chased strange radar contacts 200 miles to the south, eight Japanese naval ships snuck into Kiska. These eight ships carried away all the troops. When the Allied forces attacked on August 15, they found nothing but a few stray dogs. Japan gave up their Alaskan gains two years before the end of the war. 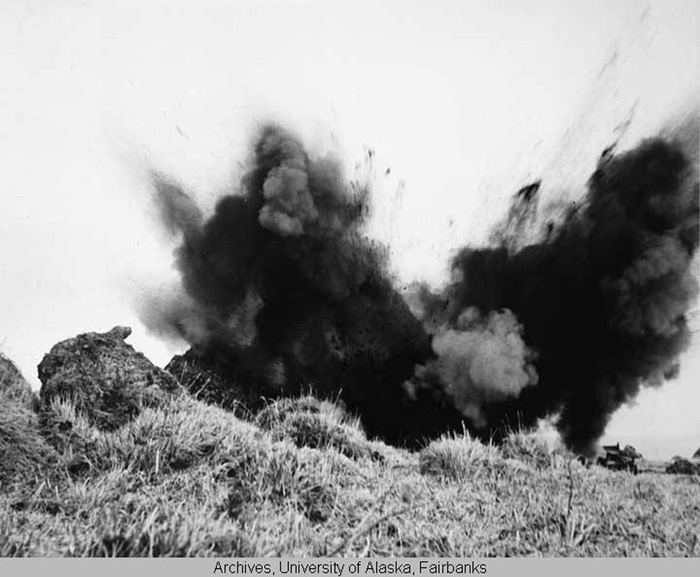 The war left a lasting impact on Alaska. The airfields and the highway both helped the state long after the war. Airplanes could now fly into remote Alaska places more easily and safely. The highway opened to the public in 1948. Thousands used the road to build a new life on the Last Frontier. Thousands more just came to visit. The military remains a key part of the economy in Alaska and the defense of the United States. Information adapted with permission from Joan M. Antonson and William S. Hanable, Alaska's Heritage (2d edition, 1992) and from The Alaska Almanac, 32nd edition, Alaska Northwest Books, 2008 and Alaska's History by Harry Ritter, Alaska Northwest Books, 1993.